The Department of Primary Industries and Regional Development acts as the Registrar for the Industrial Hemp Act 2004 in Western Australia. This legislation enables licensees to cultivate, harvest and/or process industrial hemp on a commercial scale. Industrial hemp (Cannabis sativa) is a potentially important crop for Western Australia. Fibre can be extracted from the stem or oil from the seeds. Items manufactured from hemp include textiles, paper, rope, fuel, animal bedding, building materials, seed oil and food from hulled hemp seed. The industry in Western Australia is regulated under the Industrial Hemp Act 2004 (the Act). The Act states that 'industrial hemp' means cannabis, the leaves and flowering heads of which do not contain more than 1.0% of tetrahydrocannabinol (THC). The Act does not allow for the production of low THC industrial hemp for the purposes of medicinal cannabis or cannabinoid extracts from the leaves and flowers of the hemp plant. Enquiries regarding medicinal cannabis or extracts from hemp, should be directed to the Office of Drug Control. The Act allows for suitable companies or individuals to apply for a licence to cultivate, harvest and/or process industrial hemp. Applications can be made by filling out Form 603, which can be downloaded from this page. Supporting information to assist application can be found in the notes also available under documents. Licensees may sow crops of industrial hemp for fibre or seed production using approved seed sources. The Act defines industrial hemp seed as seed that is certified in an approved manner as (a) having been produced from industrial hemp; or (b) producing, when cultivated, industrial hemp. When sourcing appropriate seed, always ask for a copy of the ‘crop analysis certificate’ from the crop that produced the seed. This analysis certificate plays an important role in reducing the risk of your crop returning a high THC result and assists the Registrar in approving seed for sowing. Sowing seed should be sourced from a crop tested as 0.5% or less THC. The viability of industrial hemp seed can drop quickly over a year or two depending on storage conditions and other factors. It is highly recommended that you seek a recent (recommend within 6 months) ‘germination test’ on prospective seed to determine its viability. Visit DDLS Seed Testing and Certification services for information on seed testing. 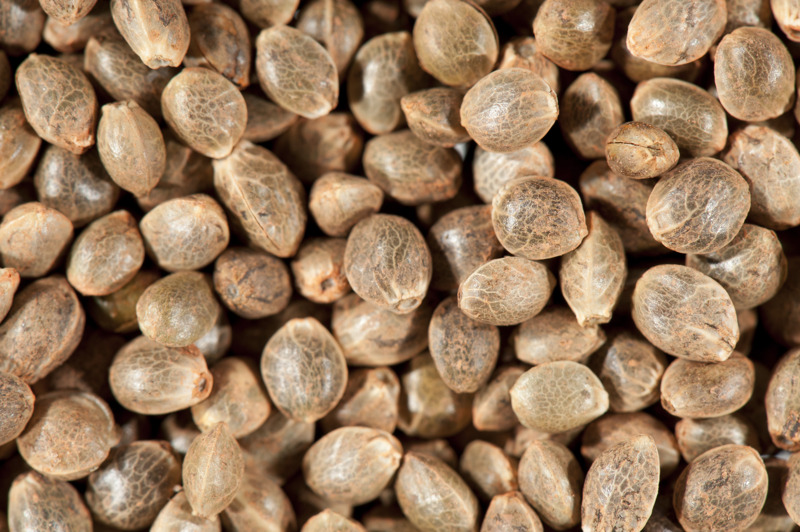 For more information relating to suitable seed sources and importation of industrial hemp seed, see the 'Guidelines to assist the importation of industrial hemp seed into Western Australia' available under documents on this page. Once a crop has been sown under licence, the licensee must notify the Registrar within 1 week. The completed Notification of Sowing form (available for download on this page) must be accompanied by an accurate map showing details of the sowing. All crops of industrial hemp sown in Western Australia will be inspected and sampled by an officer of the Department. Samples are sent to the Chemistry Centre of Western Australia to analyse the THC content for compliance with the threshold stated in the Act. Fees apply for crop inspection, sampling and testing. See document 'Notes to assist in applying for an industrial hemp licence' for indicative fees. DDLS Seed Testing and Certification offers a voluntary traceable seed system that enables commercial scale sowing seed to be cleaned at a registered seed cleaner, sampled officially and tested for germination, purity and weed seed content, and be labelled with uniquely coded official bag labels. This system facilitates the trade of seed and licensees purchasing bags with these labels get assurance that seed has meet minimum requirements for THC. For information relating to prefeasibility of production and processing hemp in Western Australia, including international market trends, agronomic and economic considerations, and a WA Hemp Industry Directory, please visit the Industrial hemp portal. In November 2017 it became possible to process industrial hemp seed into food products. For general information relating to food production in WA see our Food Safety page. For specfic information relating to hemp in food, contact Food Standards Australia New Zealand (FSANZ). Visit the Biosecurity fees and charges page for current licence application and renewal fees. For more information, contact DDLS Seed Testing and Certification.